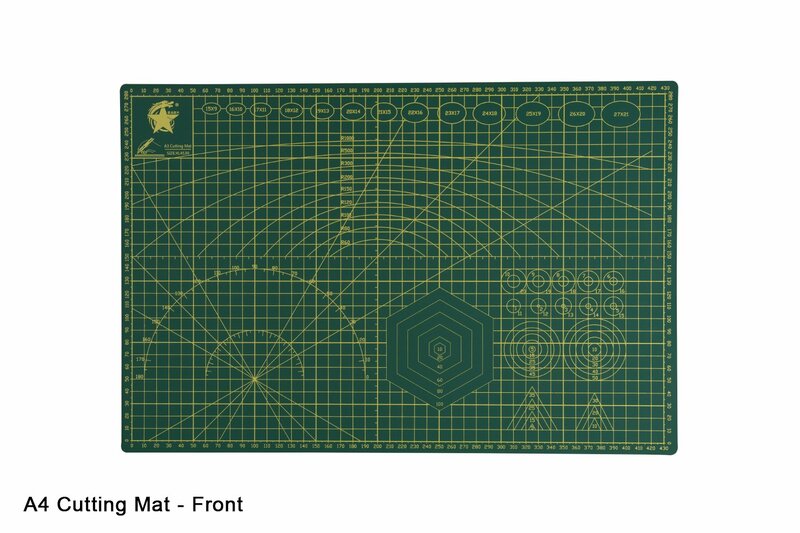 Cutting mats are used as a protective surface for cutting various materials, as well as to guide and provide measurements or references to ensure a straight and clean cut. Measurements are in centimeters. 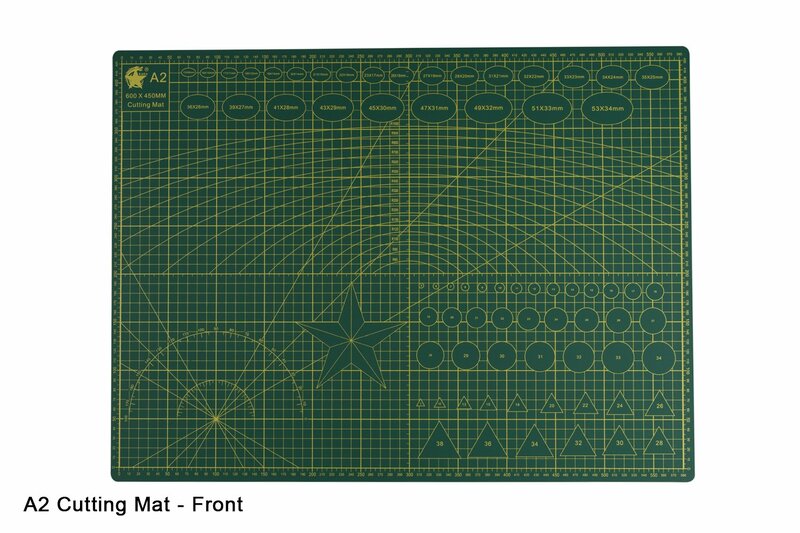 These cutting mats are double-sided and made from resillient vinyl. 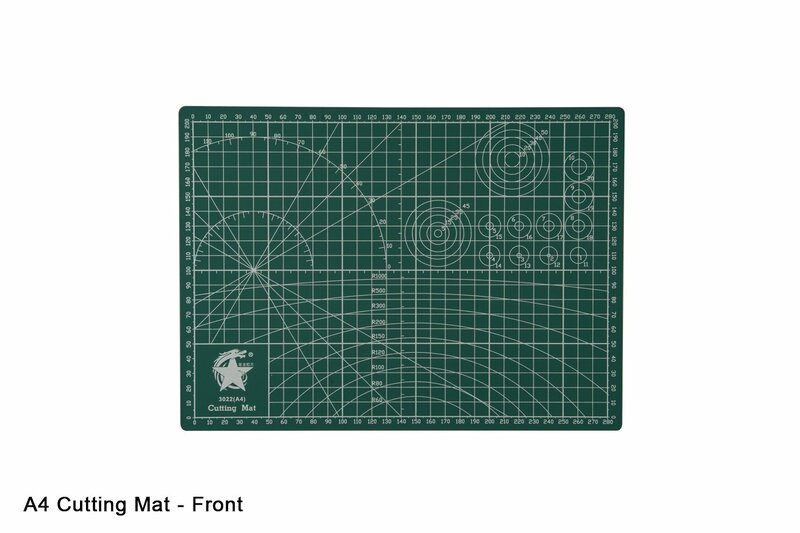 They are 'self-healing' which means that cuts into the mat will "reseal" which means your cutting surface lasts longer. They provide a good working surface for almost any material and almost all desktop craft projects, making them very handy for not only crafters, but illustrators, calligraphers, photographers and designers too. IDEAL FOR: PRECISION CUTTING OF MOST MATERIALS. RECOMMENDED FOR ILLUSTRATORS, CALLIGRAPHERS, PHOTOGRAPHERS AND DESIGNERS AS WELL AS CRAFTERS. 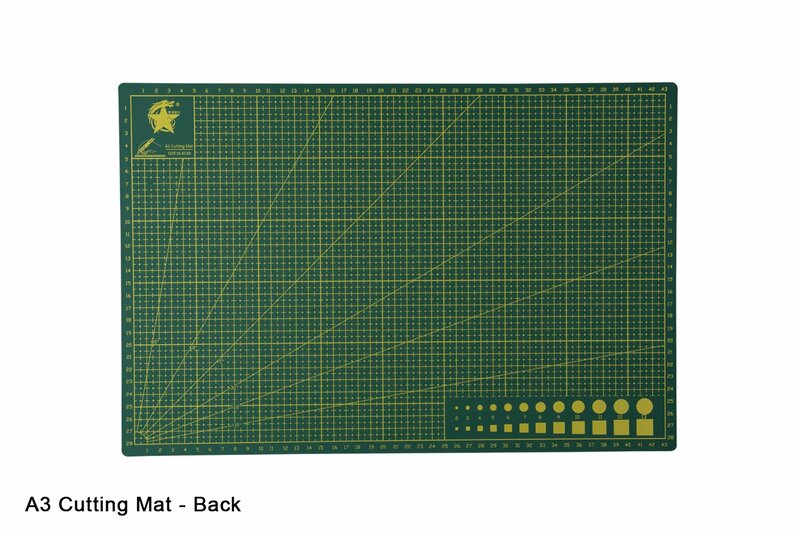 Made with a resilient vinyl, these mats are self-healing which means that it will “reseal” after every cut. It can be used as a writing/drawing surface, even over previous cut lines. 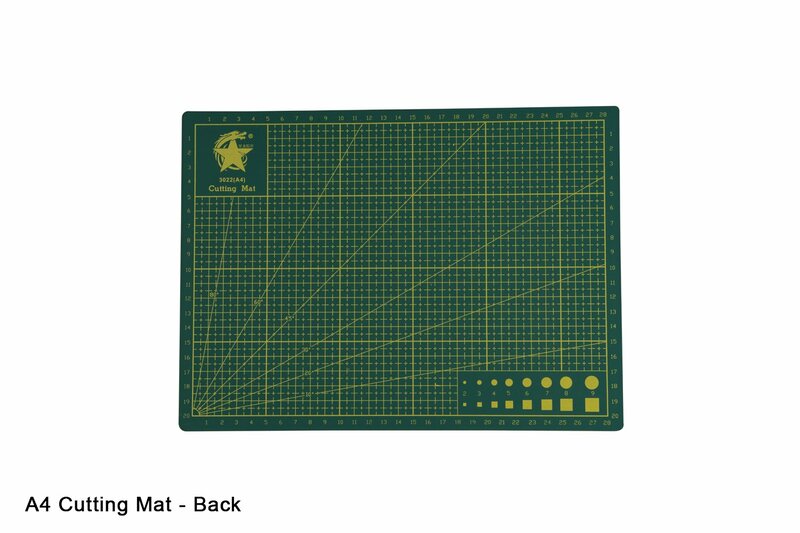 These double-sided cutting mats have an easy-to-read measuring grid, as well as helpful geometric shape and angle guides. This item has 339 views.